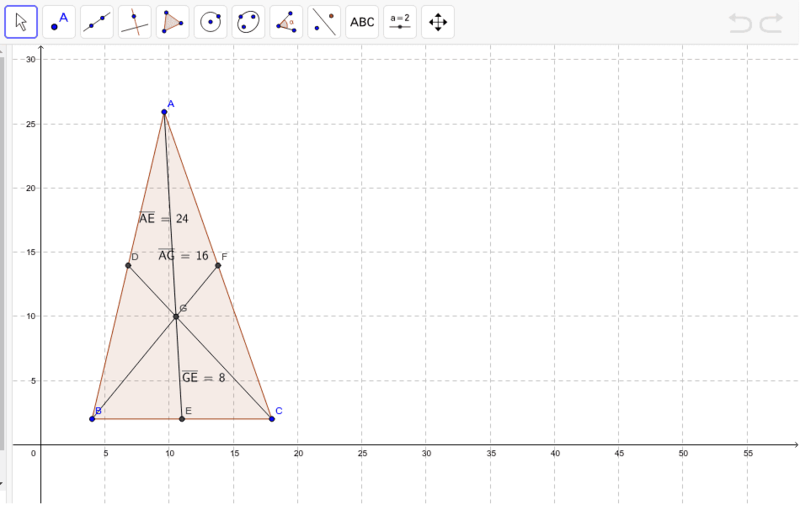 In this applet, the centroid of a triangle has already been created for you. Use the applet to answer the following questions. 1. What relationship do you notice between the segments AG and AE? 2. What relationship do you notice between segments GE and AE? 3. Does the centroid of a triangle ever lie outside a triangle?